When you invest in a home, you expect it to be more than just a shelter — it’s also a place for rest, connection, and refreshment. In order to enjoy those important qualities, taking care of basic maintenance is a must, and your home’s HVAC system is a crucial component for comfort and good health. Here’s what you can do to ensure it stays in top condition. On a day-to-day basis, most people don’t give their HVAC system much thought unless something goes awry. As long as everyone is comfortable, it can be out of sight, out of mind. However, keeping your HVAC system performing its best is crucial. Air Conditioning Engineers points out that proper maintenance yields key benefits, helping your system run efficiently, ensuring your home’s air is high-quality, optimizing the lifespan of the system, and saving you money in the long-term; after all, you can easily spend roughly $5,000 to install a new unit if yours suddenly bites the dust. Also, if your system is still under warranty, proper maintenance ensures you can take advantage of the benefits it provides. Working on your home’s HVAC system can be an intimidating prospect, but the most important tasks are simple and any homeowner can tackle them. First and foremost is replacing your air filters on a regular basis. Make sure you select the right size filter for your unit by checking the existing filter for the number on its side. Afterward, you can follow these easy step-by-step instructions to replace it, verifying you insert the new filter in the correct direction for air flow. Generally speaking, you should change your filter every one to three months. The filter looks dirty. Keep in mind that the filter is meant to push air through it, so if it looks too clogged with dirt, dust, and debris for air to flow properly, it’s time to change it. Vents look dirty. If your home’s air intake vents are getting some build-up, chances are it’s time to change the filters. Your home is dusty or dirty. Noticing a lot of dust, pet dander, or other dirt in your home means it’s probably building up on your filters as well. Your home’s air vents can benefit from routine cleaning. HowStuffWorks offers simple instructions and notes that you just need a few commonplace tools to clean the vents: a heavy-duty vacuum, screwdriver, cleaning brush, and a broom. Be sure to take a few safety precautions before you start. Shut off the power to your system, and if you haven’t taken on the endeavor for some time, protect yourself by wearing a dust mask. Another task you can tackle yourself is keeping your air conditioning unit free of leaves, grass, and other debris. Make a routine examination of the refrigerant lines for signs of trouble, such as clogs or ice build up. You can use a checklist to keep up with air conditioning maintenance. It’s important for homeowners to have their HVAC system professionally serviced on a routine basis. Once per year is the minimum, and giving the furnace a once-over during the fall and the air conditioner a once-over during the spring is ideal. However, it’s important to avoid tinkering with the inner workings of the unit yourself since if you don’t know what you’re doing you can damage the system or even hurt yourself. 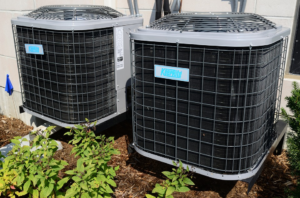 Your home’s HVAC system is an expensive component of homeownership. What’s more, it’s a key element in keeping your home’s air quality healthy and comfortable. With a few simple, routine tasks, you can maintain it and ensure you save money and energy. GET READY TO LIST YOUR HOME DURING SPRING NOW! NOW IS THE TIME TO GET READY TO LIST YOUR HOME DURING THE BUSY SPRING MARKET!! HERE ARE 10 EASY TIPS TO BE READY TO MARKET YOUR PROPERTY TO BUYERS AND CATCH THE BUSY SPRING SELLING SEASON! Call your Realtor to get a detailed market analysis. Not only will this put your mind at ease regarding whether you should list or not—it will also help you determine exactly what you have to spend on improvements and repairs. Plus your agent will be able to help you determine what your proceeds may be from your home and establish what your budget will be for you new home if you are staying in the local area. Gather appliance manuals and warranties. Even though your appliances may not be new, the new buyers of your home are most appreciative since the appliances will be new to them. Make a list of utilities. Even better go back and look at your records and jot down your monthly bills since utility costs is often a question that new buyers ask. Prepare a list of paint colors—either those that you love that need a refresh or possibly some new more updated colors. Make a list of items in your home that may be on their last legs and the approximate cost to repair or replace. Refer to item 1. (Examples may be roof, water heater, furnace, carpet, etc). Dig out the most beautiful pictures of your home in the summer. Start decluttering and organizing. This one warrants repeating. START DECLUTTERING AND ORGANIZING! Figure out ways to make your home appear a bit more neutral in both color and personal possessions. This helps a potential buyer more easily envision themselves living there. But keep some personality too. It needs to look like a welcoming home. Do a thorough deep cleaning. Make sure driveways and walkways are cleared and salted. Contact me if you need a complimentary detailed comparative market analysis to determine your home’s value by a professional—me! Remember online estimates do not see everything that we as real estate agents do, and some of those can add or take away value. Also if you would like a more detailed check list to get your home ready I have those available and would love to share. Central Indiana home sales up more than 8 percent year to date! Prices increase more than 5 percent; six counties show rise in average sale price. INDIANAPOLIS – With 2,036 pended sales in February in Central Indiana, overall year-to-date home sales are up 8.3 percent compared to this time period last year, according to statistics compiled by F.C. Tucker Company. On a monthly basis, February 2015 pended home sales rose 2.7 percent compared to February 2014, an increase of 53 homes sold in the nine counties that F.C. Tucker tracks. Six of the nine counties reported increased sales compared to February 2014. In February, Shelby County saw the largest increase in pended home sales which spiked 33.3 percent, raising the number of pended home sales to 48 from 36 in February 2014. Madison and Marion counties experienced increases of 17.3 and 7.3 percent over February 2014 respectively. Sales also rose in Morgan, Johnson and Hamilton counties. Hendricks County saw the biggest decline, decreasing 16.8 percent compared to February of last year. Hancock and Boone counties also experienced decreases – 12.9 and 8.1 percent. Overall, year-to-date sales prices for the nine-county Central Indiana area increased by 5.2 percent. 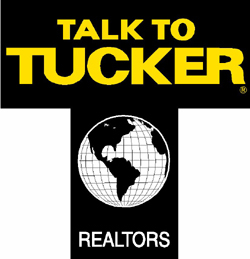 Tucker’s data indicates that six counties experienced slightly higher home sales prices than in February 2014. Year to date, Shelby County led the way with 30.9 percent. Madison and Hendricks counties also saw increases of 25.1 and 11.2 percent, while Marion, Johnson and Hamilton counties saw slightly smaller gains. Boone County experienced a decrease of 9.4 percent. Sales prices also declined in Morgan and Hancock counties. The average year-to-date sales price for a home in the nine-county area was $166,283. Of the pended home sales in the region last month, six were priced $1,000,000 to $1,999,999; 47 were priced $500,000 to $999,999; 171 were priced $300,000 to $499,999; 291 were priced $200,000 to 299,999; 951 were priced $100,000 to $199,999 and 570 were priced at $99,999 or less. Editor’s Note: All statistics were compiled by F.C. Tucker Company from a report drawn from Propertylinx statistics on March 9, 2014. Pending means the sales contract has been signed, but the transaction has not closed. According to the NAR, pending sales typically are finalized within a month or two of signing. THREE of the Best Inexpensive Remodeling Projects to Get BIG Results! If you are thinking about selling your home but want to make some improvements to increase its value or make it more appealing to potential buyers, you should know which relatively inexpensive projects will get big results. You also need to know which projects you can handle yourself and which you should hire professionals to complete your endeavors. While your home likely has a master bathroom and another three-quarter or full bathroom, you should consider adding a powder room on your first floor or in your basement living space. Homebuyers quickly turn off to homes that don’t have enough bathrooms, and they don’t want to add one themselves. If your home has an existing powder room, make sure it has an exhaust fan and as much natural lighting as possible. 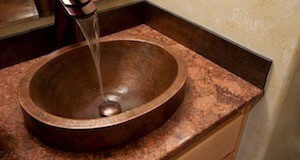 Update the vanity countertop to make your powder room more appealing to buyers. In the Indianapolis area, HomeAdvisor reports that the average price to install laminate countertops is $533 – $850 and takes about two to three weeks. There are a few DIY powder room upgrades that appeal to buyers including adding storage such as a wall cabinet or shelf. Complete the updates in the powder room by painting cabinetry to give it a fresh look and installing new hardware to match updated faucets and fixtures. Kitchen backsplashes are an inexpensive way to update your kitchen and give it a wow factor that will increase your home’s value. Look for ceramic tile, decorative pieces of glass or metal, or shiplap that will add personality and charm to your kitchen. A new backsplash will provide a focal point in your kitchen and give it a finished look. It also can hide imperfections on your walls or stains near your sink or oven, which will yield big results when buyers make offers. Kitchen backsplashes become even more inexpensive when you install them yourself, but make sure you feel comfortable doing so and have the time, patience, and knowledge that it takes to do so. Should you opt to do a backsplash yourself, look for DIY tile on sheets so you don’t have to place each small tile individually. You should know that tiling is a tedious process that requires a lot of measuring, cutting, patience, and attention to detail, so you may want to hire a professional to install your backsplash if you are afraid you will lose too much time and money attempting it yourself. Potential home buyers judge your house from the first glance. One of the best ways to boost your home’s value without spending a ton of money is updating your front door. Install a new door that allows natural lighting into the home and gives your home more personality. Be sure to choose a door that is energy efficient. Or, update your door by adding sidelights, an awning, or a portico above it. Hire a professional contractor to measure and install the door or overhang for you. 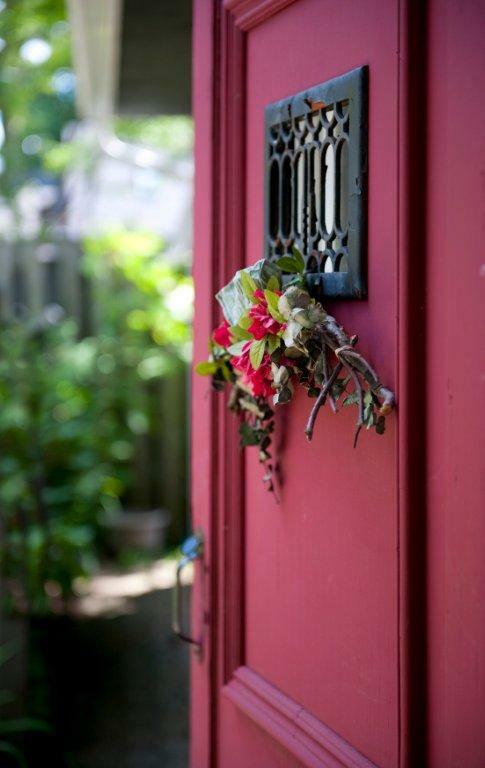 By some estimates, updating a new front door or entryway adds 96.6% of the amount you spend to your home. If adding a new door isn’t in your budget, update your existing door by painting it. Add a door knocker, decorative glass, or hardware to appeal to buyers. 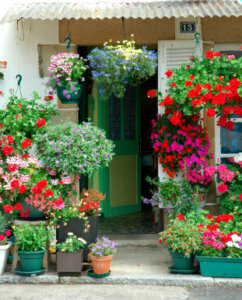 Then, place a decorative mat or plant near the front entrance to make it stand out to buyers even more. When you want to add value to your home, making some wise decisions about home improvements and remodels is the best place to start. Consider adding or updating a powder room, updating your kitchen backsplash, and updating your front door. This guest post was created by Eugene Williams. Eugene has decades of experience with all types of do-it-yourself projects and loves to share his knowledge with everyone. Please visit his site DIYDad for more information.